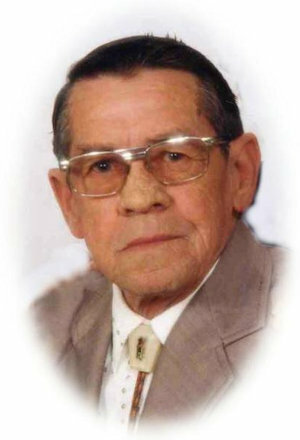 Obituary – Diebold, Charles Edward « Perry High School Alumni Association, Inc.
﻿Charles E. “Eddie” Diebold, 71, of Ponca City, Oklahoma, was the son of John Arthur and Pauline Ann (McCoy) Diebold. He was born on December 6, 1932 in Perry, Oklahoma and died Monday, October 25, 2004 at Via Christi Regional Medical Center in Ponca City. Charles	married Pauline Glennice Koch on June 8, 1956 in Ponca City, Oklahoma. He served his country in the United States Army for twenty-eight years and then in the United States Air Force for thirteen years. He retired as a Master Sargent. He was a member of the American Legion, the Moose Lodge in Ponca City and attended the Ranch Drive Baptist Church. Funeral services will be 10:00 a.m. Wednesday, October 27, 2004 at the Brown-Dugger Funeral Home Chapel in Perry, Oklahoma. Rev. Larry Calvert will officiate. Interment will be in Grace Hill Cemetery. Services are under the direction of Brown-Dugger Funeral Home in Perry, Oklahoma. Memorials may be made to the charity of the donor’s choice in care of Brown-Dugger Funeral Home. 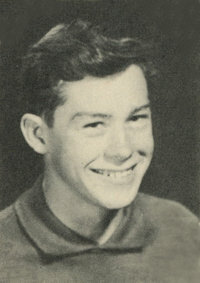 Charles is survived by his wife, Glennice Diebold; two sons, Eddie Diebold and his wife, Wanda, of Ponca City, Oklahoma and Dennis Diebold and his wife, Sherry, of Winfield, Kansas; one daughter, Teresa Schooley and her husband, Ron of Bartlesville, Oklahoma; one daughter-in-law, Becky Diebold of Morrison, Oklahoma; two grandsons, Chuck Diebold and his wife, Courtni, of Ponca City, Oklahoma and Ronnie Schooley of Ft. Riley, Kansas; four granddaughters, Renea Crowell and her husband, Rusty, of Ponca City, Tera Schooley, USMC, Bryanna Diebold of Ponca City, Oklahoma and Jacqueline Essa Diebold of Morrison, Oklahoma; one great grandson, Cayden Diebold of Ponca City, Oklahoma and one aunt, Gladys Smith of Oklahoma City, Oklahoma. He was preceded in death by one son, Jeff A. Diebold, his parents, John and Pauline Diebold and one half sister, Dorothy Warner.